In 2007, there were no coding classes for children in first grade or Girls Who Code clubs. All I had were YouTube videos, blogs, and an old box-computer that would probably be in a museum today. For a six-year-old who was still learning to read, it was challenging, but something about solving problems and bringing something to life with a few buttons was just incredible and made me feel like I could do anything. Earlier this month, senior Emma Koslow was honored with a national Aspirations in Computing (AIC) award from the National Center for Women & Information Technology (NCWIT). The award is given annually to high school women in grades 9 through 12 in recognition of their demonstrated interest and achievements in computing, proven leadership ability, academic performance, and plans for post‑secondary education. In March, Emma will attend a celebration and networking event for the winners at the Bank of America headquarters in Charlotte, North Carolina. For the past two years, Emma has taken home the New Jersey AIC award and been a national runner up as well. She was also a 2018 Stanford She++ Fellow and a 2017 National Coding Week Ambassador. Despite her accomplishments, Emma was surprised to make the jump from national runner up (one of about 400 students) to national winner (one of about 40). “I just expected to be a runner up again,” she shared. That expectation, however, would have assumed that Emma’s outreach in the world of computer science hadn’t really changed over the past year, when in fact it has grown considerably. 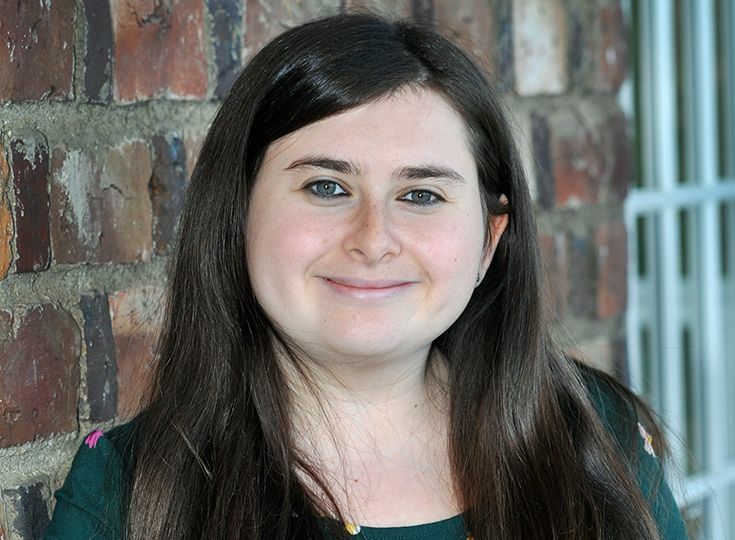 In addition to picking up another two or three coding languages (bringing the total to 17), Emma began creating Khan-Academy-style videos for Programming Pals, the organization she founded to teach coding to students with disabilities. She also published a journal article for Code Like A Girl—one that made the Twitter rounds at Microsoft—in which she argues that children should be exposed to coding in the same way they are exposed to ballet, soccer, painting, and other activities. Emma’s work was enough to garner the attention of Ruthe Farmer, former Senior Policy Advisor for Tech Inclusion during the Obama administration. Farmer, who is currently “chief evangelist” for CSforALL contacted Emma over the summer and invited her to join the CSforALL advisory board. The organization works to make quality computer science education available for all K-12 students and teachers. Emma explains, “I think she chose me because she wanted to create an accessibility board, and everything I do with Programming Pals is about accessibility to computer science. It was kind of scary at first because no one else on the board is a high school student.” So far, Emma has attended two board meetings for CSforALL via Skype, and this spring, the organization is flying her to Minneapolis so she can serve on a panel for the Special Interest Group on Computer Science Education (SIGCSE) conference. With so much on her schedule, Emma will still carve out time to work with the GSB robotics team once competition begins in the spring. Looking ahead to next year, Emma hasn’t decided on a college yet but she is becoming increasingly interested in studying artificial intelligence (AI). “For a long time, I thought I wanted to be a software developer,” she says. “But I love teaching and connecting with people through technology, and other developers have told me that my programs are really interactive, so now I am thinking I might really enjoy the field of AI. The first person on campus to learn of Emma’s NCWIT award was Upper School computer science teacher Joan Mruk, who has worked closely with the senior over the past three years. Mruk, who holds an NCWIT award for teaching, was thrilled to learn that Emma had achieved national recognition, offering, "Emma is a young woman who will make her mark in the world. She is a very dedicated student with a deep interest in technology and computer science, especially as it can be applied to helping people. I am so impressed with her accomplishments and look forward to seeing where she goes with her ideas and efforts."